Nokia 6 is one of the best Nokia phones running on Android. It comes with a full HD display with amazing specs and a very good camera. Its build, quality and design are impressive, it is made of metal with a simple design that gives the phone a different feel from other Android phones. If you are a Nokia phone fanatic, this is the phone you should be looking for. Order for Nokia 6 online with Jumia Ghana, pay for the phone securely online and have it delivered to an address of your choice. Nokia 6 is made of a metallic body, with an IPS-LCD, capacitive touchscreen with 16 million colours. It has a 5.5 inch (70.7% screen-to-body ratio) display and a resolution of 1080 pixels x 1920 pixels (403PPI). It comes with Corning Gorilla Glass 3 protection. Nokia 6 has an amazing camera, it comes with a 16 megapixels camera on the back with f/2.0 lens, phase detection autofocus, touch focus, face detection, HDR, panorama, dual-LED dual-tone flash, geo-tagging &[email protected] video recording. The front camera is 8 megapixels with f/2.0 lens. It captures high-quality images in well light areas. Nokia 6 has a 3000mAh, Li-Ion, non-removable battery which powers up the phone the whole day with moderate use. It is powered by Qualcomm Snapdragon 430 CPU coupled with 3GB RAM and runs on Android v7.1. It comes with a 32GB built-in storage, a memory card slot is available in case you wish to have more storage space in your phone. Order for Nokia 6 online on Jumia Ghana and we guarantee you will not be disappointed. Get the best prices when you shop for Nokia 6 only here on Jumia Ghana. 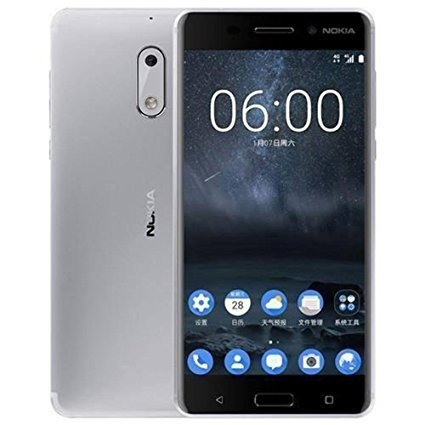 Browse through our site for other Nokia Phones and accessories such as batteries, earphones, selfie stick. 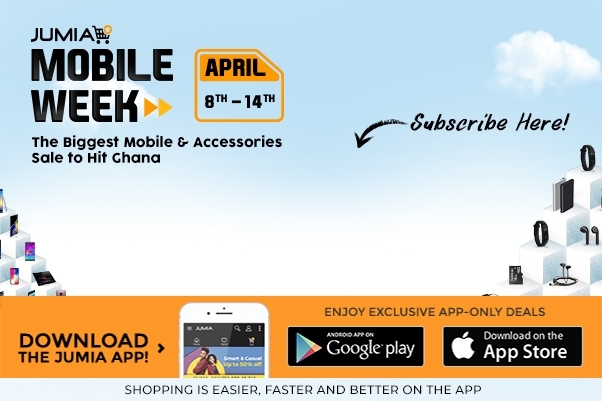 Shop your favourite Android phones conveniently from the number one online mall in Ghana today and have the delivery done to an address of your choice.